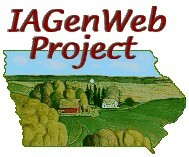 INGRAM, Joe, 77, of Van Wert, Iowa, died Friday, November 27, 2009 at his home. Funeral services were held December 1 at the Van Wert Assembly of God Church directed by Slade-O'Donnell Funeral Home of Leon. Burial was in the Garden Grove Cemetery, Garden Grove, Iowa. Survivors include wife Juanita Ingram; children: Kevin Ingram, Denton, TX; Mike Ingram, Van Wert and Brenda Fickes of Van Wert; grandchildren and great grandchildren. Joseph LeeRoy Ingram, age 77, youngest of nine children born to Clifford Lawrence and Lola Therese [Craig] Ingram, was born January 23, 1932 in Davis City, Iowa. He passed from this life on November 27, 2009 at his home in Van Wert, Iowa from cancer. Joe attended school in Garden Grove, Iowa and St. Joseph, Missouri. He enlisted in the U.S. Navy Reserves in 1949 and was on active duty January 1952 until March 1953 during the Korean War. On April 17, 1952, he married Juanita Jean Kirby in West. Des Moines, Iowa. They were blessed with three children, Kevin, Mike and Brenda. Joe farmed most of his adult life. He loved the country live, especially gardening, spring flowers, and fishing. He really loved spending time with his family. He always enjoyed being with the grandchildren and great grandchildren. He was preceded in death by his siblings and their spouses: Louise & Joe Vos, Essabea & Kenneth Reed, Wilma & Otis Stange, Paul & Ernestine Ingram, Mark & Nadine Ingram, and Clifford "Jr." Ingram; brothers-in-law: John Dickinson and Chuck Langer; and grandson, Jordan Ingram. Those surviving are his wife of 57 years, Juanita Ingram of Van Wert; Children: Kevin & Michelle Ingram of Denton, Texas, Mike Ingram, and Brenda & Ed Fickes of Van Wert; 12 grandchildren: Michelle Ingram, Carol Ann Tandy, Chrissy, Jimmy, Johnny, Josh, Joey, Charity, and Jacob Ingram, all of Texas, Naomi Jones and husband Robbie of Osceola, Iowa, Rochelle McLaughlin of Garden Grove, Iowa, and Clinton Casterline of Van Wert; step-grandsons, Josh Fickes and Dustin Fickes of Leon, Iowa; great grandchildren: Timothy Holland and Anthony Tandy, both of Texas, Riley, Lila, and Blake Jones of Osceola, and Remington Dudney of Garden Grove; twin sisters, Margaret Dickinson of Las Vegas, Nevada and Marjorie Langer of Denver, Colorado; sister-in-law, Laura Ingram of St. Charles, Iowa; nieces and nephews; and other relatives and friends.